What is allowed in outer space? 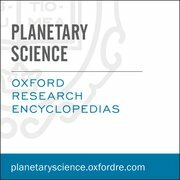 Substantive, peer-reviewed, and regularly updated, the Oxford Research Encyclopedia of Planetary Science combines the speed and flexibility of digital with the rigorous standards of academic publishing. Humanity is no longer just exploring outer space for the sake of leaving flags and footprints. On February 6, the SpaceX Corporation conducted a successful first flight of its Falcon Heavy rocket, capable of carrying 63,800 kg (140,700 lb) to Low Earth Orbit (LEO), a capability not seen since the Apollo era. As the rocket’s reusable stages can be refueled and reflown, this rocket is a significant innovation and not merely a return to past capabilities. And with swagger uncharacteristic of the current space industry, the Falcon Heavy carried a Tesla Roadster sports car complete with a dummy at the wheel and live-streamed the whole thing. It should be clear by now that the space world is changing. SpaceX is not the only pioneer. A wide range of new actors are entering outer space, including startup companies and nations accessing space for the first time. In addition to traditional space activities, the modern space industry fully intends to expand humankind’s economic and scientific horizon by building, making, buying, selling, and (soon enough) living in outer space. What does space law permit (or prohibit)? The drafters of international space law built a basic legal framework for space activities comprising seventeen short articles of the Outer Space Treaty which create a few core principles. This framework treaty was thereafter supplemented with a handful of other space treaties expanding on specific issues such as the rescue and return of astronauts and space objects, liability for damage, and the registration of space objects. As with any treaty, the binding obligations of space law protect rights and establish responsibilities. These rights are broad and expansive. They include the right for states to freely access, explore, and use outer space, including the Moon and other celestial bodies, without preauthorization from any other nation or from the international community. This broad freedom is balanced with certain obligations, such as state’s international responsibility for its national space activities (whether governmental or private). The treaty does not attempt to address everything humanity might do in space. The drafters of the Outer Space Treaty did not and could not anticipate and predict all of the advancements and innovations that were to come. Wisely and most importantly, they knew their limits and did not attempt to regulate in the abstract. They did not envision the extent of commercial activity in space, satellite crowding at the Geostationary orbit, or the small satellite revolution, much less newly-emerging activities such as satellite servicing, space debris removal, manufacturing in space, commercial space stations, crewed planetary outposts, or the use of celestial resources. They certainly never envisioned a red convertible sports car in a precessing Earth-Mars elliptical orbit around the sun playing David Bowie. So, if international law doesn’t actually prohibit the launching of a convertible electric sports car on an interplanetary trajectory, it must be legal, right? That’s one way of understanding space law. An opposing (and perhaps generally valid) view sometimes expressed is that unless a particular activity is positively authorized and regulated by a source of international law, then that activity is simply not legal (and possibly even illegal) under international law. Others think there is more nuance in international law besides the binary legal vs. illegal distinction, and that any activity that is not addressed by law might be not clearly lawful and permitted, yet simultaneously also not per se illegal. Disturbingly, there is no clearly accepted and universally applicable general rule of international law deciding this question. The Lotus principle, also called the “permissive principle,” comes close. Shortly stated, the Lotus principle is “that which is not explicitly prohibited is therefore permitted.” However, as international law continues to develop more slowly than the pace of technological progress and the growth of interconnected globalized activities, the Lotus principle’s persuasiveness has waned. The Outer Space Treaty, which marked its 50th anniversary last year, was intended to enshrine broad freedoms in outer space, but wisely did not precisely delineate what types of activities are exercises of these freedoms. Going forward, as we seek to actually achieve the great prospects of outer space, states and the international community will have to decide which activities should be regulated, as well as which activities we might refrain from regulating for the time being. But first, recognizing the modest nature of space law, with its many limits, and not seeing these limits as prohibitions, will be crucial if we are to even attempt to seize the great promises offered by outer space. Featured image: SpaceX Dragon commercial cargo craft approaches the ISS by NASA. Public Domain via Wikimedia Commons. Christopher D. Johnson is the Space Law Advisor at the Secure World Foundation, and Adjunct Professor of Law at Georgetown University Law Center and at the International Space University. He is the author of numerous publications on space law and policy, including most recently, “The Outer Space Treaty” in the Oxford Research Encyclopedia of Planetary Sciences.